Well howdy! 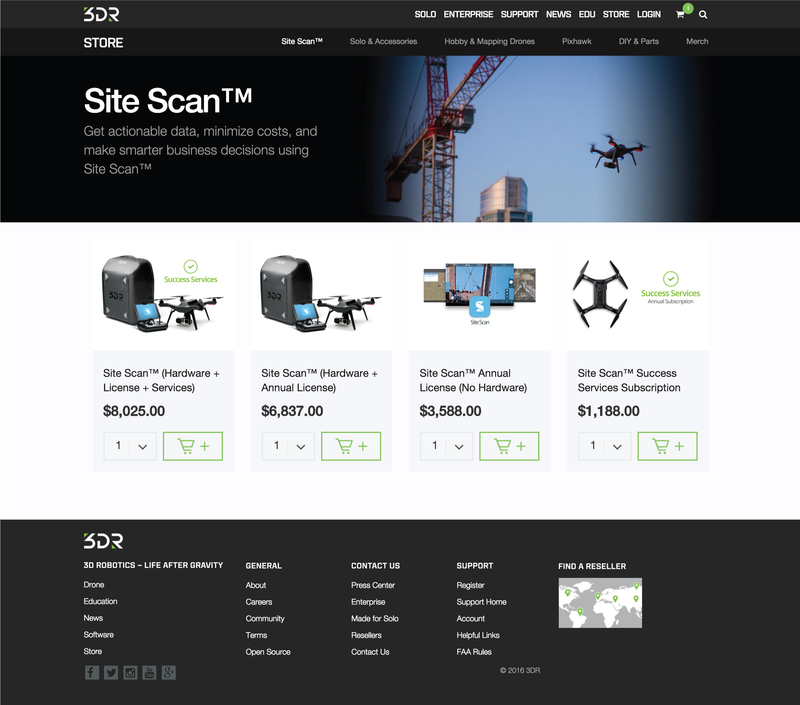 I have worked at 3D Robotics for a while, and have been instrumental in all front end engineering except for the current 3dr.com (which was built by outside developers, and I am currently rebuilding it using my own CMS system.). I held down all front end engineering exclusively by myself for an entire year, and we are just now hiring more for my department. 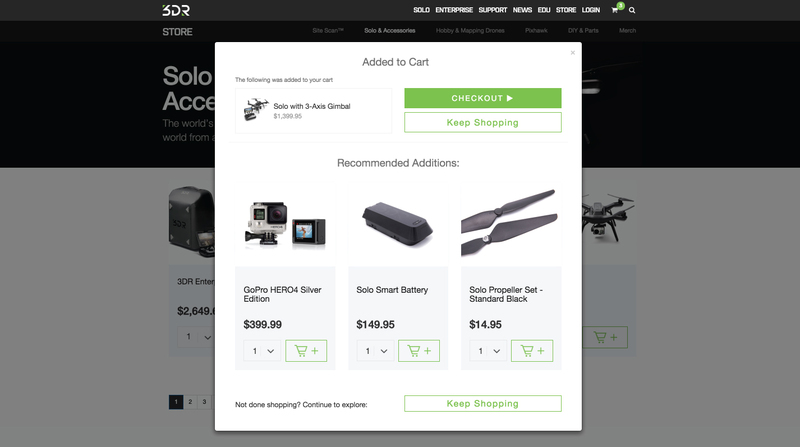 Some examples include Dronekit.io, parts of the app, several internal tools I can&apos;t put on my portfolio for secrecy reasons, the new 3dr.com that will be launching in a few months, and also the store. 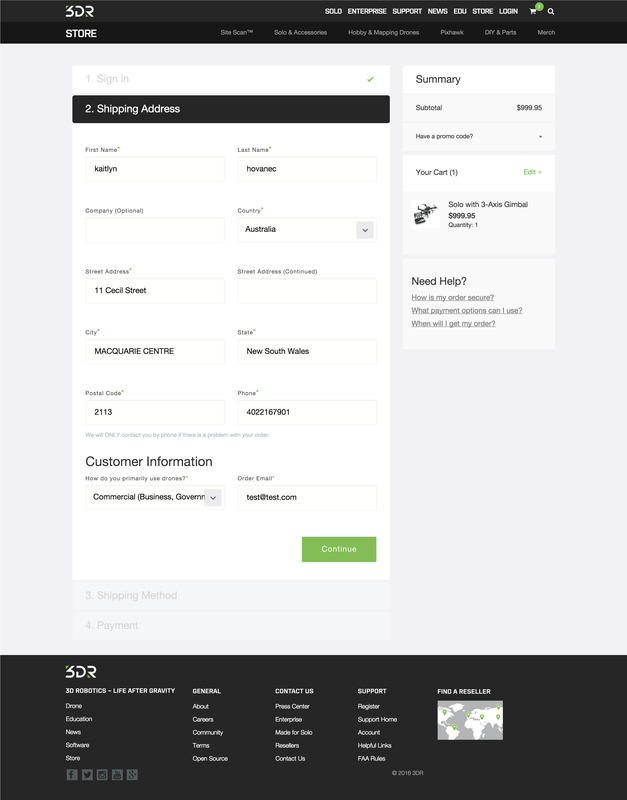 Originally the store was a Magnento site, and now it is a rails app that runs with SPREE. I work in the Software department, but have been twice "on loan" to their IT department in order to help them with this endeavor. I got to pretty much re do the entire face of the store, and had a blast doing it. Hey! My name is Kaitlyn, and I like making things. Let's make things together.